When it comes to food safety, there is no such thing as too many helping hands. That’s why the USDA employs 9,600 men and women in the Food Safety Inspection Service (FSIS) to ensure our meat, poultry and eggs are safe for your table. They work in one of three food safety laboratories across the United States, maintain a constant presence in more than 6,000 slaughter and processing facilities and reinspect imports at 122 ports of entry. Others spend hours on the road cracking foodborne illness outbreak cases, or they piece together telling data trends and improve policies here in Washington, D.C. The FSIS team targets the most frequent foodborne pathogens including, Salmonella, Escherichia coli (E. coli), Listeria monocytogenes and Campylobacter, in addition to monitoring for emerging risks. Thanks to their efforts, USDA has tightened standards for the companies who process and prepare thousands of food products and upgraded technology and internal systems to track and report safety issues to regulators and the public in real time.Join us throughout the month of July as we explore the incredible progress we’ve made since 2009 to update and modernize America’s food safety system and standards. 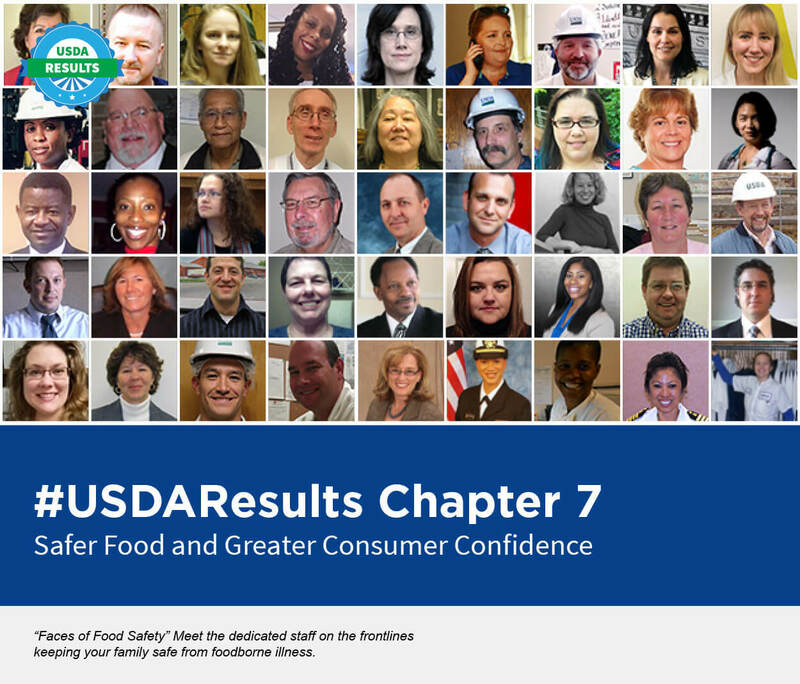 Follow along on usda.gov, on the USDA blog and by using #USDAResults, or catch up on Chapter VII on our Medium site. Our USDA inspectors are trained to ensure humane handling standards are being met, all while protecting American families from foodborne illness.